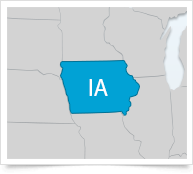 You can access the Iowa Employment Law Manual (over 50 state-specific reference resources) and Employee Handbook templates (over 10 statements state-specific handbook policy templates) below, as well as view key state and municipal deadlines, additional state-specific resources and links to key municipal coverage. XpertHR's Legal Timetable helps you keep track of key compliance dates in Iowa, as well as other states and municipalities. Enhanced to improve comprehensiveness with additional details about the tip credit. Updated to include development regarding alcohol testing, effective July 1, 2018. Updated to include amendment regarding alcohol testing law, effective July 1, 2018. Updated to include amendment regarding alcohol testing, effective July 1, 2018. Updated to reflect expanded pay statement requirements, effective July 1, 2018.